In reflecting on Martin Luther King Jr. Day and Dr. King’s legacy, especially with the current levels of racial strife we are seeing while the Obama era comes to end, it is important to look to his example when it comes to effective activism. A large reason Dr. King is considered such a transformational figure when it comes to civil rights was his focus on individual liberty and his disdain for the judgment of people based on their skin color. Indeed, one of his most famous quotes is “I look to a day when people will not be judged by the color of their skin, but by the content of their character.” Sadly, this clashes with what many modern social justice activists (some of whom are unfortunately university educators) advocate for, with some even going as far to consider Dr. King an “Uncle Tom” or “white-washed black man” who wasn’t radical enough in his activism. In examining King’s “Letter from a Birmingham Jail,” which he wrote while unjustly incarcerated by the state for his nonviolent campaign against racial segregation, one starts to see his character. He does not compliment or condemn any person for their identity. He expresses disappointment in the “white moderate” who is more concerned with “order” than true justice. He also condemns the “black nationalist” who has “lost faith in America” and uses divisive rhetoric, dividing more people into the dichotomy “us vs. them.” Nowhere do you see him define racism as “power plus prejudice,” as today’s social justice kooks often do. Unfortunately, it seems as if King’s rhetoric hasn’t gone to heart for many of today’s modern activists. In a USA Today piece, lawyer Oliver Thomas boldly declares, “whites killed MLK,” implying a collective responsibility of all whites for the actions of James Earl Ray. Not only is this equivalent to claiming all Muslims were responsible for 9/11 or all men responsible for every sexual assault that happens, it is antithetical to King’s conceptualization of individual character. Thomas is judging people by the color of their skin, not the content of their character. Other modern activists have condemned efforts at racial reconciliation. In July of 2016, the DC chapter of Black Lives Matter condemned Wichita’s First Step Community Cookout, an effort done by the local police and racial activists at community relations building. In a Washington Post piece, Barbara Reynolds, author and civil rights activist of the 1960s, questions the divisiveness of the Black Lives Matter movement, while sympathizing with much of their cause. “Trained in the tradition of Martin Luther King Jr., we were nonviolent activists who won hearts by conveying respectability and changed laws by delivering a message of love and unity. BLM seems intent on rejecting our proven methods. This movement is ignoring what our history has taught,” she laments, contrasting her generation with modern activists. 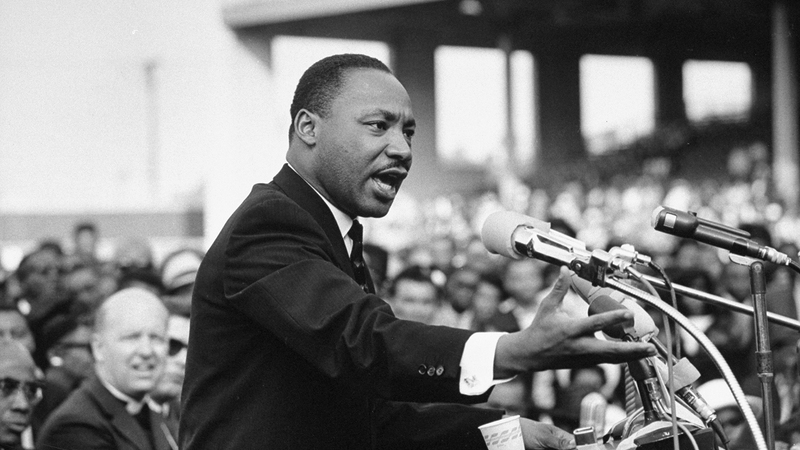 In honor of Dr. King on his holiday, we should remember and look to the example of Dr. King and other civil rights activists who engaged in effective activism, winning over minds and hearts, and ultimately leading to positive social change. While there have been more tumultuous times in our nation’s history, we are still facing many challenges today when it comes to civil rights and the freedom of our fellow brothers and sisters, and it will take those dedicated to effective activism and change to continue Dr. King’s amazing legacy.